I'm writing this morning because I need to be organizing my studio! I just talked about this on FB recently and I still don't have it done! And so, the way my brain works is this - do something else to make me feel like I'm accomplishing something whether it needs to be done or not - so here's my delay for today! 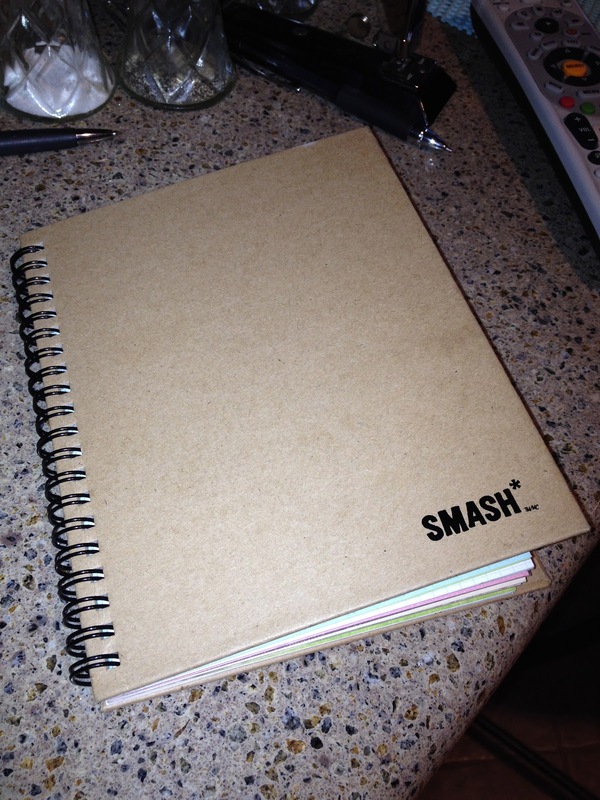 I don't do a lot of advertising on my blog, but I'm enjoying my SMASH book so much I just have to share. I got mine at Archivers in Katy a year or more ago and it took me a little while to start using it. I was attracted to it by the wording on the out side - something about a drawer that you stick all of your little memories in. I immediately knew the drawer they were talking about, except I have several of them. How do you cover this face? I think most of you probably throw away the things I keep and yet perhaps I'm wrong or why would these books be such great sellers. 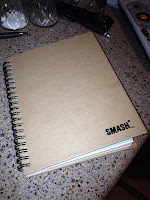 So like me you, too, may keep odd things so that's why I'm sharing the joys of the SMASH book! I still have the ticket stub for the rodeo cutting horse show in February 1984 - when and where Bill and I had our first date! (Not in this book, but somewhere) I have the pit passes from auto races, the beach vehicle sticker from Surfside Beach when the kids and I went to the beach last summer. Not to mention my favorite fortunes from my favorite Pei Wei! Now that you know I'm a keeper you will know why I love this book. 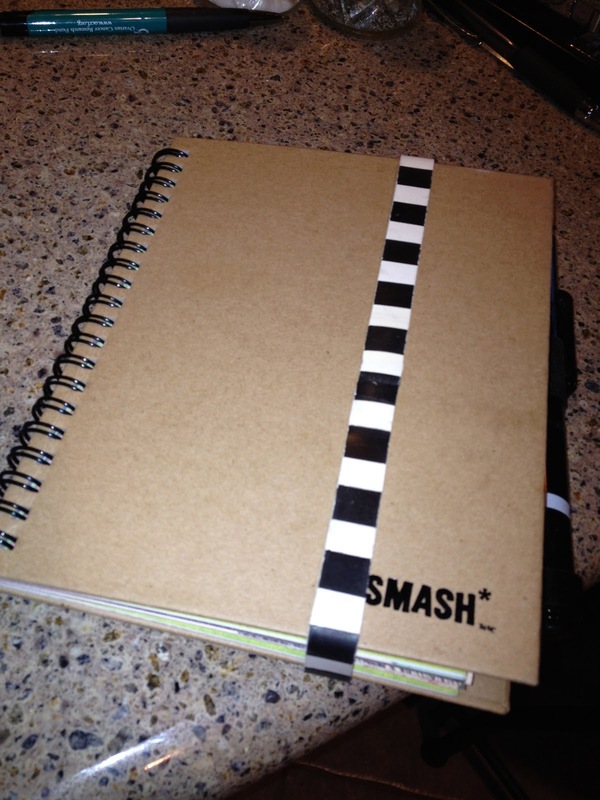 It comes with it's own pen (to write notes) and glue stick all in one and fun papers in a spiral book. Do you have something you want to keep? Don't stuff it in a drawer, stuff it in your book. I know why it took me long time to start - I love the paper! 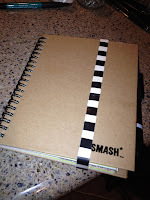 Same reason I'm not a good scrapbooker - I love the paper so much I don't want to cut or cover it up! But that's another story all together, so let's head back to my book. I keep it on my kitchen counter and I've actually gotten really good at sticking stuff in it. It has also taught me to cover up cool paper! Well, almost - there are some pages I just can't or at least haven't yet been able to cover! It's also a place to keep cards from my little grand-daughter in Austin or other friends in the back even too big to glue in and oh by the way, I started a small book, but they come in a larger size and I think I'll start adding my cards to that one. But don't think that they stopped with just a cool book, no they have washi tape, stickers, all sorts of things to add in (guessing this is for people who don't keep as much as I do) and best of all - a giant rubber band to hold the book together as it gets fatter and fatter. And a blank cover for your own decorating! Can't believe that's still a blank canvas in my house! This one encourages you to write! Hope this might help some of you empty a drawer and fill up a book! Like I said I got mine at Archiver's (they're also on line) but I'm sure these fun books are in many different scrapbook stores. To me this is a win win! Unlike a drawer that has to be cleaned out when it's full and you have to make decisions all over again about keeping or tossing, when the book is full you have a completed scrapbook without work and you start a new one! 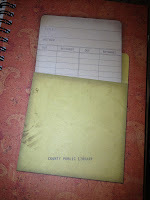 As the book says on the back "for the MOMENTS and MUSINGS that STICK!" 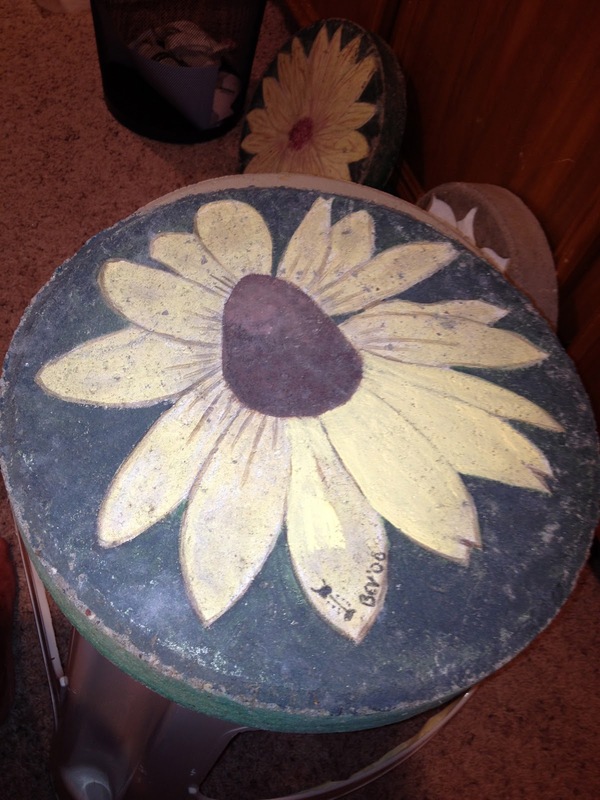 I began painting in 2006 and I began with garden stepping stones. If you have ever looked at my blog Obedience Stones, you know that when asking God what on earth I was to do with all of my photographs of flowers He clearly said, "Paint a Stone." And I did! 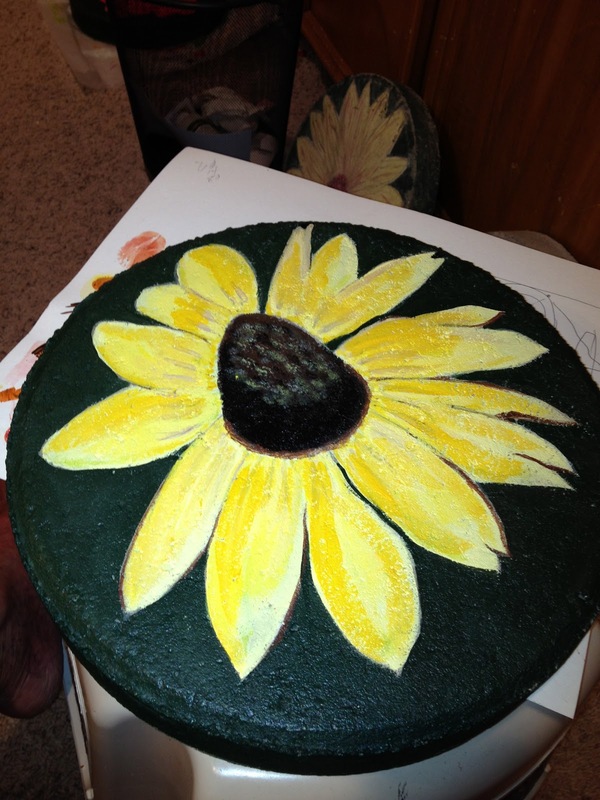 No I'm not always that obedient, but that was too clear to ignore and I had always wanted to paint, so my journey began. My first stone was a very sad sunflower, but you could tell that's what it was. It's still in my yard. I soon turned toward hibiscus and they became my favorite flower to paint, but at the request of friends I branched out to many other flowers. But as I said that was 2006 and although I have given away and sold many stones, I have kept a lot too and some have seen their better day! But after all what did I expect? Few garden items really last more than a few years in our heat and a weed-eater plays havoc, so I'm surprised they look as good as they do, after seven years and so I decided to do some restoration. Wish I could offer this to everyone I've gifted, but unless they bring them to me, well I digress! On to my restorations! This first one was a pink and yellow hibiscus in it's first life - two colors that fade the fastest in the sun! And so this time I kept the shape, but totally changed the color - all new and fresh for the yard, well, as soon as I finish the stamen! The second one is refreshed in just about it's original colors, but now it's a bright show piece for the yard. I have several more to bring in for restoration and I'm so glad I can do this. 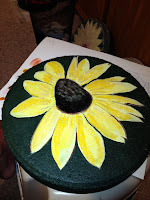 So fun to be back painting stones - the joy of obedience never goes away! We have company coming this week and I am so excited! We have known this couple, Chuck and Becky, for longer than I can remember and Becky and I are sisters at heart! We knew it the moment we met and yet we've lived in far apart cities. Becky lives outside Chicago and as you know I'm outside Houston. We used to get together more often for business events usually in Chicago or Indianapolis (Indy 500 - fitting to talk about today) but those events have become less and less frequent and last year after many years of not seeing each other we were together twice! Last year Bill, Jack and I took a road trip to Illinois for a Corvette thing and we were close enough to get to have dinner with them. It was such a treat - she's an artist and I play like an artist and we had so much fun catching up on children and grandchildren and just our lives in general. Then just a month or so later we both attended an racing event in PA and had a whole weekend together. 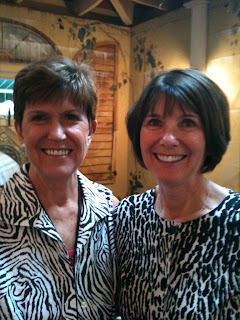 It was during this trip that we convinced our husbands we needed a get together in Texas. Years ago when I had my potpourri business, Becky worked with me at the Chicago Mart and I even stayed at their home once. I remember it as being a beautiful home filled with Becky's special touch and now they're coming here - Thursday! So I want things to be special for them here. I must admit that we moved in I set up furniture and hung pictures, primarily because I needed somewhere to put them and called it done. So I decided to take a look at our downstairs guest room. First I had to clean out all of the paper from a "civic" position I hold and that was very satisfying. I hate when I allow something to take over my life and it had - now it's all in it's place and I have my room back. But now to the little surprises: We have a book shelf in there that I haven't looked at in probably a year or more. I opened the door and pulled a book off the shelf. A note my mom had written me about 12 years ago fell out and what a nice surprise - she started it off with just a "little surprise note" from your mom! Yes it was! I read it, thought of her and how much we were enjoying each other at that stage of our lives and put it back in the book and back on the shelf. Pulled another book of the shelf and opened it to find the nicest note written on the inside of the front cover from a friend I haven't seen or talked to in over three years. Once again, a little but very pleasant surprise. I thought how strange with all these books and I pull out two that have notes in them and you guessed it. I pulled out one more to find a card fall out from my longtime friend Deb! I sat and thought of the 40 years we have been friends and closed the door. Three surprises in one night are enough. I had just enjoyed time with my mom and two of my friends and never had to leave my spot on the floor! God is so good to encourage us with little surprises. And so now I anxiously await our friends arrival, scurrying around, trying to make our home ready to welcome them in and give us good memories for years to come. necklace at the MOPS meeting! The studio still isn't complete, but it's better and is now considered a work in progress rather than a mess! My work this week was interrupted by my birthday and my Beads of Courage Party. 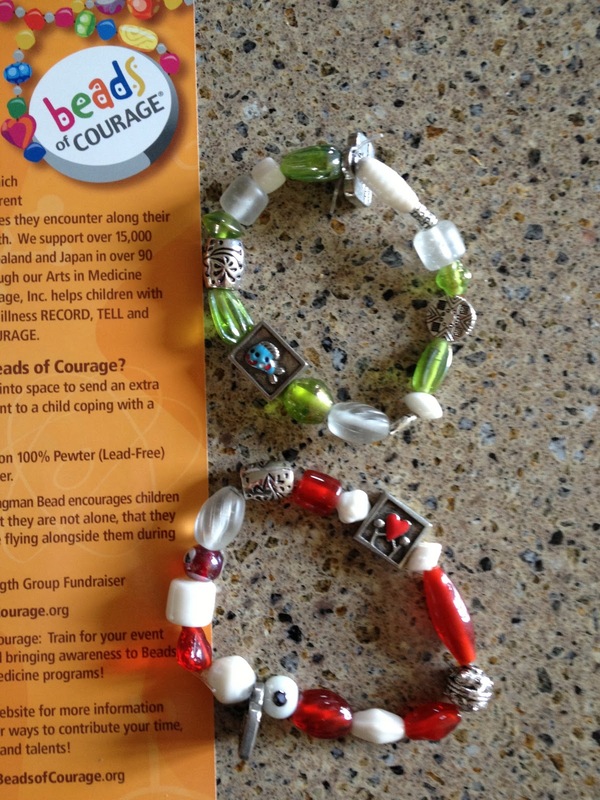 If you don't know about Beads of Courage, please follow the link and learn all about it. I'm going to give a brief description. This is an organization that allow children with life threatening illnesses to tell their story with beads. When a hospital and doctors join together in this program (M.D. Anderson is a member hospital) a child received a bead with each procedure or stick as tests and shots are called. They collect these beads and some will have so many they're too heavy for them to wear them all! Now when they're out people, especially other children, look at their beads instead of their sickness i.e. bald heads etc. and when they ask about the beads the child gets to tell their story! I don't know about you but this touches my heart! These children often experience more in a few years than we will ever experience and they have a story to tell, they just need this opening to start ... And that where we come in. We can make a donation! $25 supports a child's beads from start to finish. 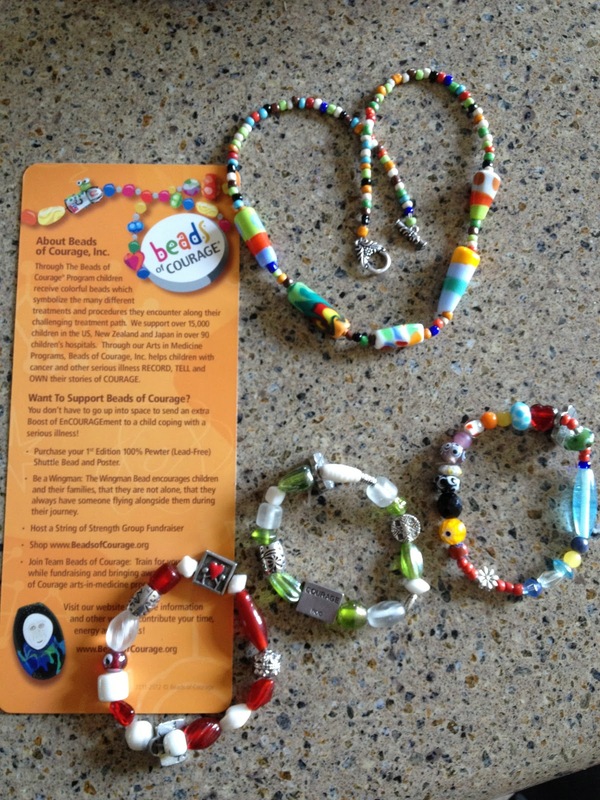 The beads are donated by bead artists across the country, but costs are involved and so our donation takes care of those costs and a child gets the beads for as long as they are in treatment! But we can also have fun as we make a donation. A Bead of Courage Party. This can just be a fun get together or it can be a Birthday Party or an any excuse to have a party - party! At this party bowls of beads are put out and you get for a mere $15 a bag with two stretch ties and two pewter Beads of Courage beads and then you pick from the beads and make two bracelets! They even have a card that tells you what the various colors mean. 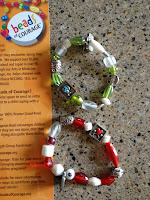 You make one for you and give the other away to someone you know needs encouragement or you keep them both - that is up to you, but the $15.00 goes directly to Beads of Courage! Yay!!!! It's fun and you've done something wonderful for these very special children. 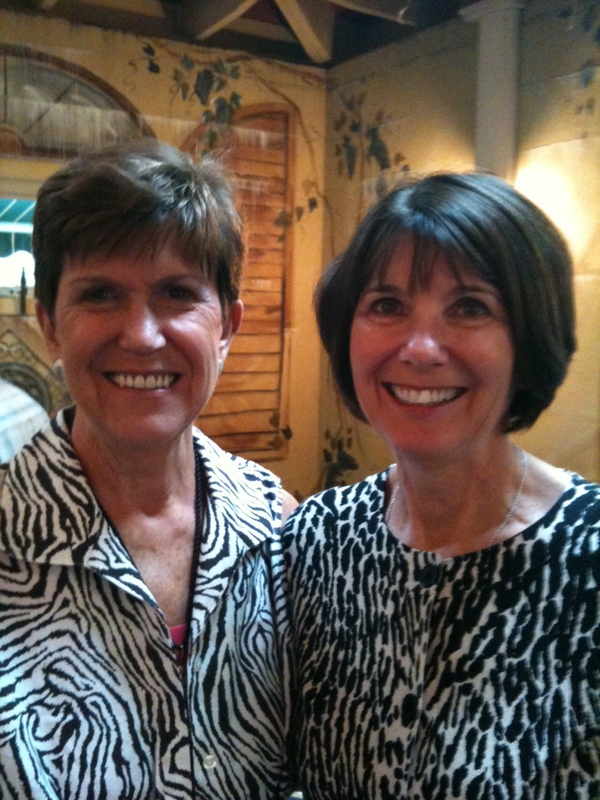 I first learned of this organization when two women came to our MOPS meeting in Sealy. I am a MOPS Mentor, just so you know I do not have pre-schoolers - EEK. Anyway, as they spoke and showed us pictures of children with their beads I just knew I had a heart for this charity. Through our years with Team in Training (Leukemia Society) we met so many children that would have loved these beads, now they probably get them, but they didn't back then. I also have a friend that is a pediatric oncologist and I contacted her and she said this is wonderful for the kids and so I've jumped in! You will hear more as the big fundraiser for the year is coming up in September in Katy, TX and I hope to get parties started all around. But now to what I made at the party Wednesday night and three special beads I purchased. 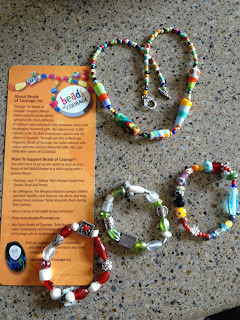 Please go to www.beadsofcourage.org and check this out! Those of you who are friends with me on FB will see updates and if you really want to see one of these special kids - check out Praying for Silas on FB. He will break your heart and inspire you more than you can even imagine and he's four! 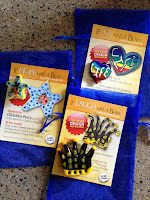 The picture of the book and bead and the three beads together are from the 2012 Beads Design Challenge. 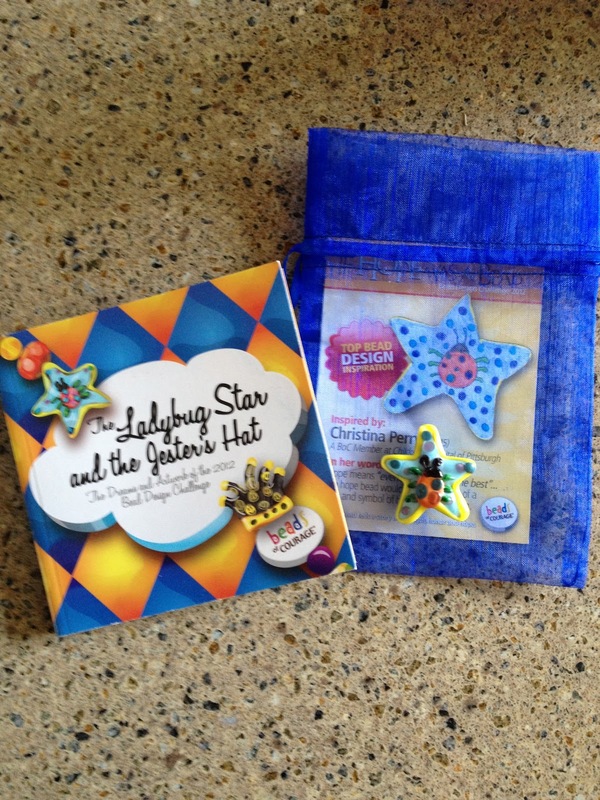 You get a book when you one of these challenge beads. Children were ask to draw pictures of what they thought represented Hope, Joy, Laughter, Spirit, Life, Love and Peace if they were a bead. These were the winning pictures. The pictures were then sent to artists who turned the drawing into a glass bead! I have three HOPE, JOY and LAUGH. I hope to add the others, but we will see. They are a limited edition of 100 of each bead, so I better hurry up! So here's to Beads of Courage! I'll show more when I make more! Let me know if you want to schedule a party and live in the Houston, Sealy or Katy, TX area! I just had to take time to share my newest card design and some bookmarks I've been busy making. I had a list a mile long of birthdays this month and next and so I had to get busy. I have so much beautiful paper that I never use. Some of it will probably go to the grave with me because it's just too cool to cut! Most of it came from Club Scrap and people cut it and cover it up all the time, but I just get out the boxes, fondle the paper, carefully drool over it and put it back. Just too great to be used! Wow, I really digressed! 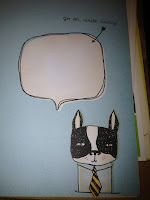 I was planning on telling you about the great birthday cards I made and how easy they are to make. I'm going to do a tutorial soon because if you're reading this you probably have everything you would need to make something very similar and then you are ready for every occasion, not just birthdays. 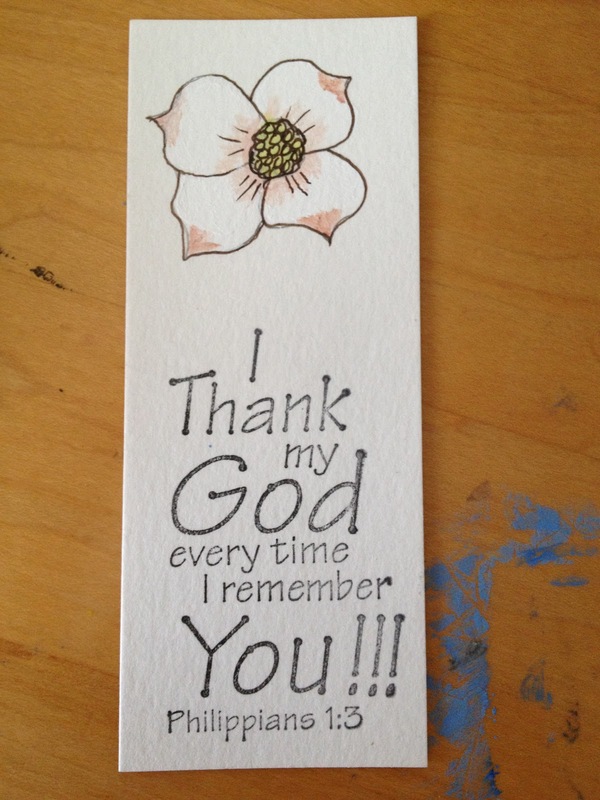 And the bookmarks. It's fun to draw and watercolor these small flowers. There are a variety this time, but dogwoods prevailed as the favorite to draw this time. And after a long dry spell I began another stepping stone. I wanted to do a magnolia, but so far it's not there! Will continue on it when the rooms clean and if it ever looks like one it can be a post all it's own. So enjoy my offerings while I get busy and clean up the mess! Today was our last day of Bible Study for the year. It was so hard to say goodbye to my core group - I had an amazing group of women this year and I am going to miss them. This morning after Bill left for work I turned to my lesson to review and spend some quiet time with God. As I read the commentary and my daily devotion, I had a compelling desire to go up and paint. Even though I still had a shower and food to prepare for the brunch, I headed up the stairs. 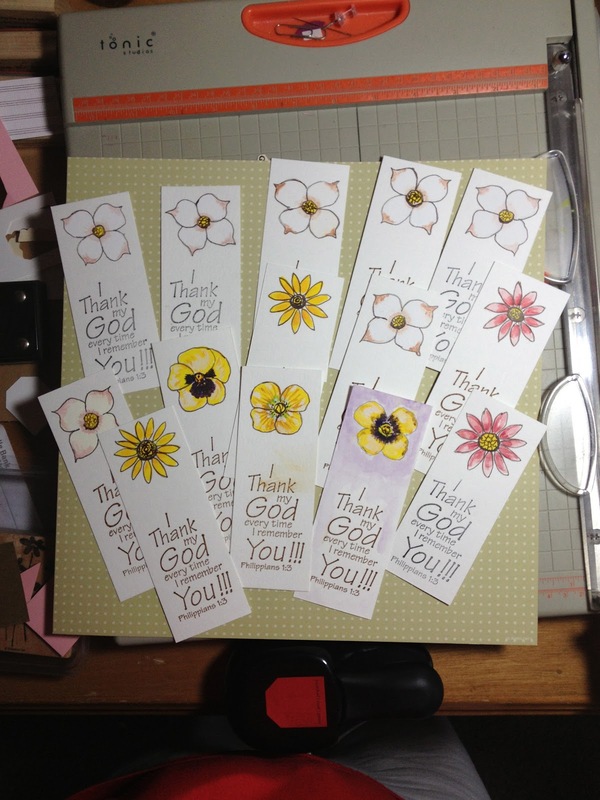 I thought i wanted to start bookmarks to give to each of the ladies, but that should have been started weeks ago (so like me to think of it this morning) and so I cut some paper, painted a few small flowers and then got out some new paints and painted a flower. 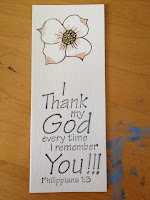 I thought I could stamp a verse beside it for a card front and as I painted I felt God's presence so strong it was palatable. I realized He had taken me up the stairs to remind me that His gift to me is painting. There are many crafty things I enjoy, and that's fine, but my first love is painting and that's because it's the most precious time with Him. From back in 2006 when He told me to paint a flower on a stepping stone, to this very day it's when I feel His presence most strongly. I know I can't draw or paint anything without Him and tears streamed down my face as I realized how much I've missed this precious time with Him. design, when I sew I'm using someone else's pattern, but when I paint it's God flowing through my mind, arm and the brush in my hand. When I let go and trust something appears on the paper or often on a piece of concrete. I am going to paint some flowers for some cards and make some bookmarks for my ladies. I will mail them along with a short note during the summer, instead of rushing the process into one quick happening and I will pray for each one as I paint. God willing I will begin to paint most every day and see just how He wants to use this talent.